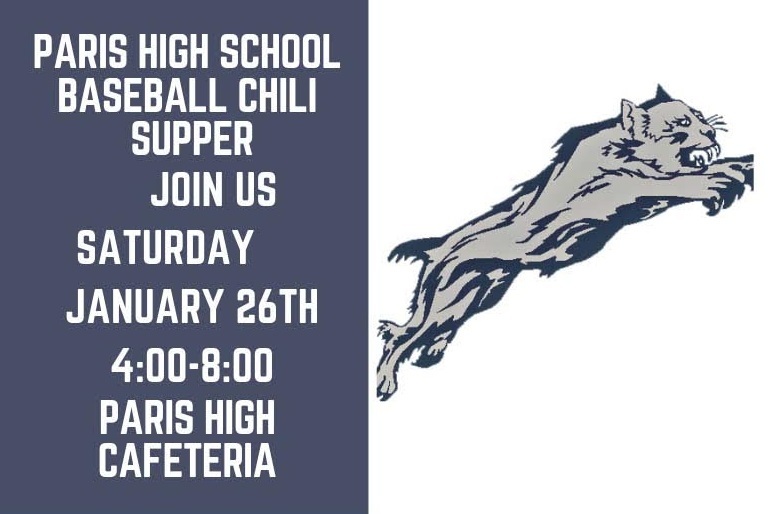 Support the Paris High School Baseball team by attending the Annual Chili Supper this Saturday from 4:00-8:00 at the Paris High School Cafeteria. The $6.00 includes chili with all the fixings, dessert and drink. Contact Coach Sikes at Paris High School or the Paris High School office for tickets.